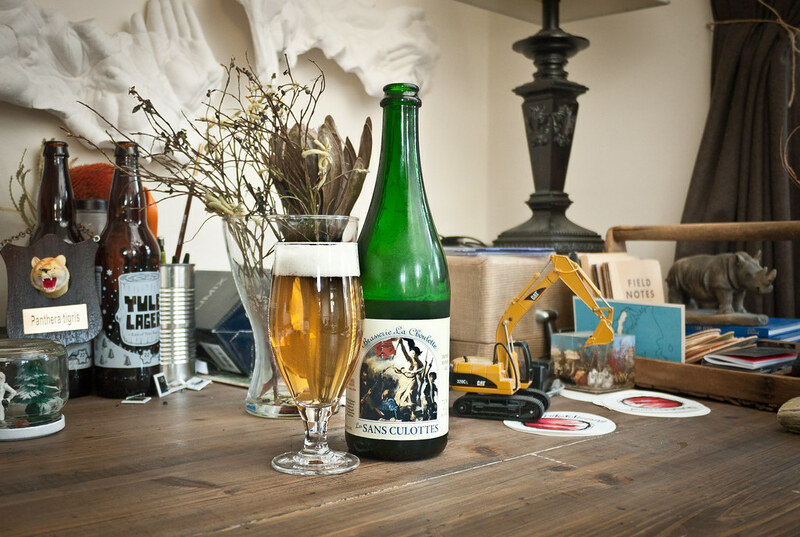 Farmhouse ales, or Saisons, have always been my favorite beer style — since my first experience with the funky French brews at the Hopleaf in Andersonville. Saisons are typically a mid-range ABV pale ale originally brewed in the autumn or winter months for farm workers in France as part of their daily allowance (about 5 liters per work day). It kept them cool, refreshed and happy, just as the Egyptians brewed their “liquid bread” during pyramid building. Saisons brew at much higher temperatures than even Belgians, between 84-95° vs. 64-75° in the fermenter. The yeast’s ability to ferment at such high temperatures made it easy to brew and ferment through the hotter summers months. Along with other ingredients like wheat, orange zest, coriander and ginger, Saisons generally have bright, pungent, peppery aromatics with plenty of effervescence. Saison Dupont is the most reputable of the French labels. But many have been produced in the US for years with a slightly more pale edge, including Ommegang’s Hennepin, Jolly Pumpkin’s Bam Biere and Boulevard’s Tank 7 — all top-notch beers in the style. Early in my Saison journey I discovered Les Sans Culottes from Brasserie La Choulette. Brewed in the Saison style, it’s a farmhouse blonde with a funky, grassy nose and a champaign-like bouquet — cleaner and crisp — with a barely tart and fruity finish. The brewery dates back to 1885, but it wasn’t until the 1970s that it was bought and revived to its current state and importing status. I first had the beer “with no pants” at The Map Room Beer School under professor Greg Browne, brewmaster at Mickey Finn’s in Libertyville. Now I pick up a bottle every few months at West Lakeview Liquors at Hoyne and Addison, where the selection of farmhouse ales is nearly unbeatable.